Moving to a new location is considered the third most stressful event after the death of a loved one and divorce. Generally, people don’t realize how stressful relocation might be, and they try to manage everything themselves. 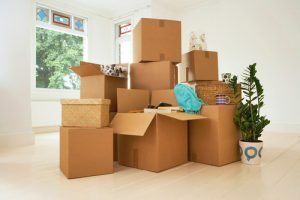 From the moment the first box is packed to the day, the final move is made, it is crucial that you keep the stress in check. Relocation is very exhaustive and often quite expensive unless you are a minimalist. Whether it’s from one city to another or to a different state or even country, moving is physically, emotionally and financially draining. If you are planning to move whether it’s with your family to an owned house or with your friends, you should remember and employ these smart ways to save money and make the herculean task easier for everyone involved. Do your research on the rates of your moving service and remember that most professional services charge by the hour. Plan your move and make sure that your ‘expensive time’ is not lost by moving unnecessary items. Take what you actually use and not the stuff that has been hoarded up in your house for the last ten years or even more. When people need to shift to a new place, they are thinking only about the ‘budgeting’ for the move – paying the moving company or purchasing packing supplies. Well, this is just a fraction of what it costs to move into a home. If you are hiring a moving company, you need to determine what needs to be taken along and all that has to be left behind. If you are not sure about what should be moved and what stays in your old home, then it’s smart to check the floor plan of your new house against the old one. It’s one of the most important moving tips because this way you will know that whether the new kitchen can even fit all the waffle, sandwich makers you got as a gift years ago. You will also save time and money this way. Whatever you don’t plan to take along can be donated. And keep the receipts in a secure place as you may get a nice tax break on it. Small items especially ones that are simple and not delicate need to be packed by you. Not only this is much safer, but it will also reduce the time for which you need to hire a moving company. Things like books, DVDs, toys, linens, etc. can simply be packed in paper instead of cardboard boxes. For fragile items like glass, artwork, and China it’s wiser to let the movers do the packing. You don’t want to risk breaking these delicate pieces due to carelessness on your part. Ask your friends, do your research and also inquire from your real estate agent about competent service providers in your area. Try to have at least three companies on your list and then take time out to call and then get quotes from them. Don’t just ask for price. Also, try to find out how many people they are sending because if you are paying by the hour than having 3 people to do it will be cheaper than two people. If you are moving on your own having more people will also save you time. Weekends mostly are much expensive than weekdays because of the higher demand. It’s always more affordable to schedule your moving on a weekday and don’t forget to ask for discounts when using the service at an off-peak hour. In the same way, check if the rates are higher towards the end of the month. Most leases end during that time, and people decide to move which more creating higher demand. If that’s the case, you can plan to move at a different time. This will ensure that the moving company will pay for the actual cash value of the item if it’s damaged or ruined during the move. It will cost you around $10 for every $1000 worth of property declared. So if your possessions might cost a lost to replace, like a $400 T.V you should get it insured instead of paying for it again. If you are moving because of a job which is too far away (at least 50 miles) from your existing location and your new boss is unwilling to cover the costs then the government is liable to pay some of it to you. You can get a deduction on the moving expenses at the tax time. You can consult a professional or check the IRS guidelines to check if you are eligible. If you don’t really need the help of the movers and you can do everything yourself, then why not? You can sort your possessions, pack them into boxes and then call your friends or family members over for a day to help you out. All you need to do is rent a truck which will be much cheaper. You will have to rent a truck depending on the size of items you have. If you have 3 bedroom apartment, you would probably need a 20-foot truck, as recommended by U-Haul. Check their website to know how their costs because they vary according to size, distance traveled and whether it’s interstate or not. When you are done with all the moving, don’t forget to thank your buds. It’s always a kind gesture to buy them beers or pizza. Creating a budget is essential to saving money. This budget will include the cost of hiring a moving company, renting a truck, the money you spend on packing supplies, moving insurance as well as the cost of fixing up your old home or cleaning the old space. If you are leaving a rented apartment, cleaning your existing space will take up both time and money. Some people are willing to spend the extra money and hire a professional cleaning service to get the job done. After all, what a professional can do in 4 hours could take you four days. Here is how you can make your part in the move easy too, check out some useful tips on packing below. You want to stuff lighter items in big boxes and heavier items in smaller ones. Always reinforce the bottom of the cardboard boxes with not one, but two packing tape strips. The ‘crumbled’ paper is handy for padding between articles that are to be moved. Never stack CDs and old records flat. Always stack them vertically. For cutlery, always pack and pad the containers and the lids separately. You can get ‘Fragile’ labels for your delicate items, make sure to pack them separately. Always label the boxes so that it is easier to unpack and shift the boxes in the rooms that they belong in. Along with the list that the movers make, it is imperative that you make a list of your own with a record of every single thing that you packed. This entry was posted in Planning and tagged save money, tips for money saving. Bookmark the permalink.